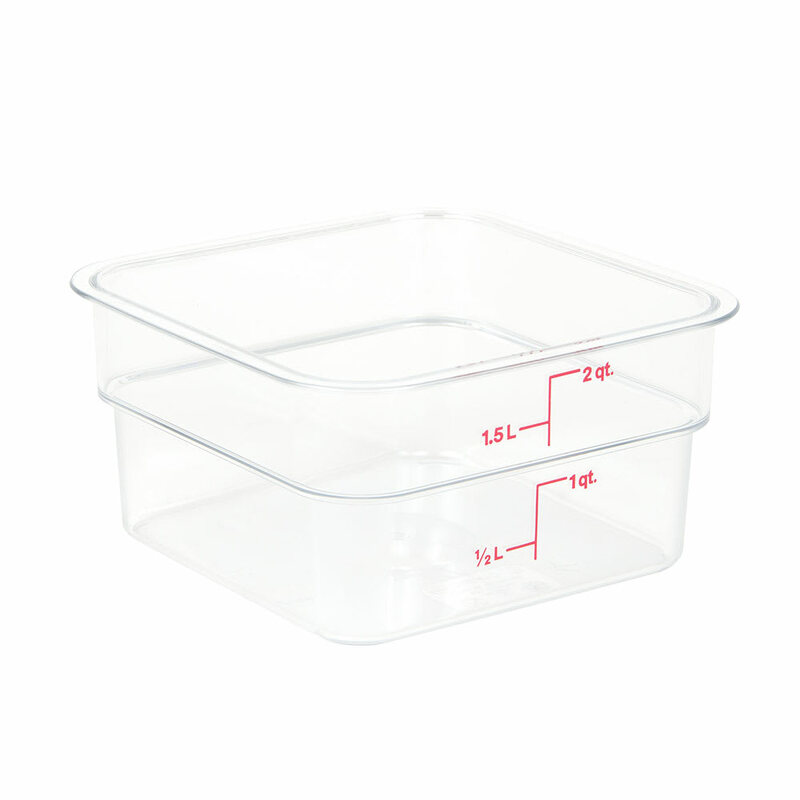 The Cambro 2SFSCW135 Camwear® CamSquare® food container is made of polycarbonate, which is resistant to breaking, staining, and odor retention. This material is crystal clear, so staff members can see inside the container, while its measurement graduations enable users to monitor product and check inventory. Molded-in handles with a wide design make it easy to grab and lift. 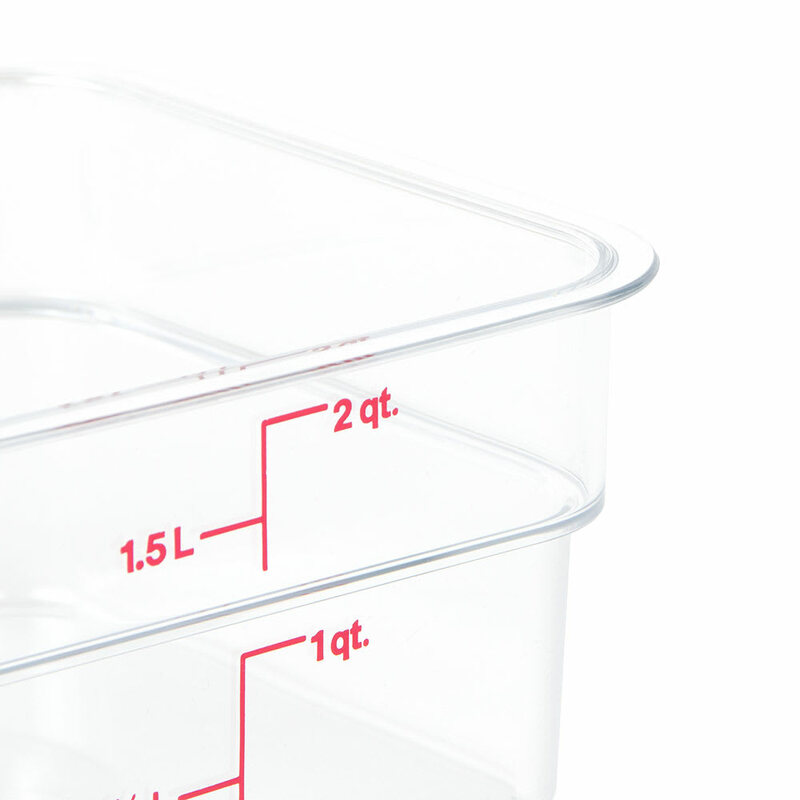 The Cambro 2SFSCW135 Camwear CamSquare food container accommodates up to 2 quarts of product. 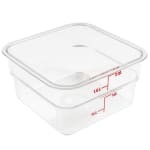 Its square shape is more practical than round containers on shelves, and it can be stacked with other dishes to maximize space. "I like to make soup and dive it up between my family.. they love getting the soup and I love the containers .. they are the perfect size for my n..."
"Nice refrigerator size for leftovers. 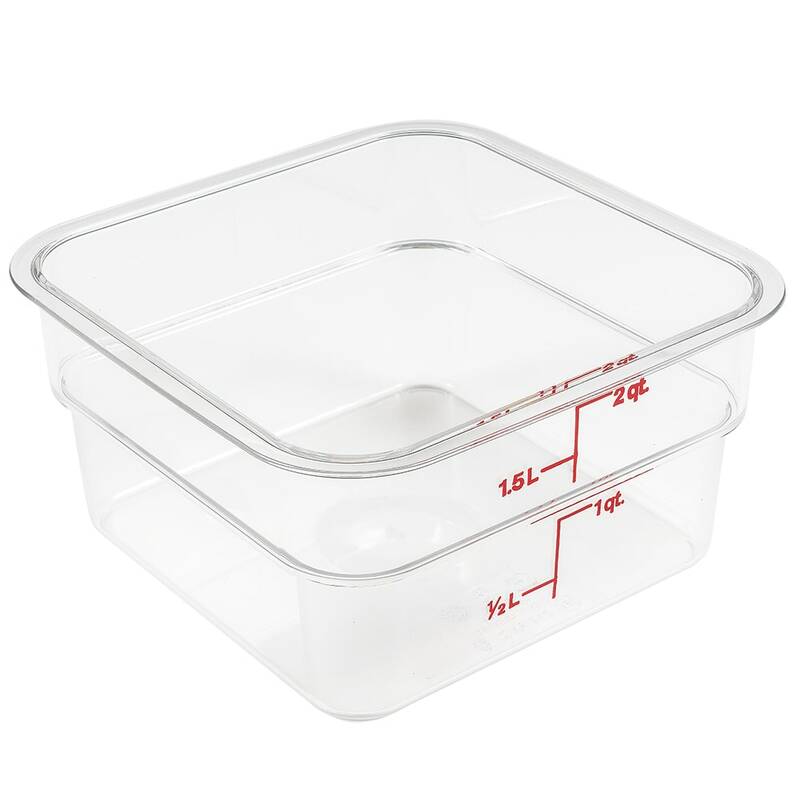 The lids are a little hard to open but I keep them around to catch those remains and they pack and stack w..."
"I like to make soup and dive it up between my family.. they love getting the soup and I love the containers .. they are the perfect size for my needs"
"Nice refrigerator size for leftovers. The lids are a little hard to open but I keep them around to catch those remains and they pack and stack well in the frig."